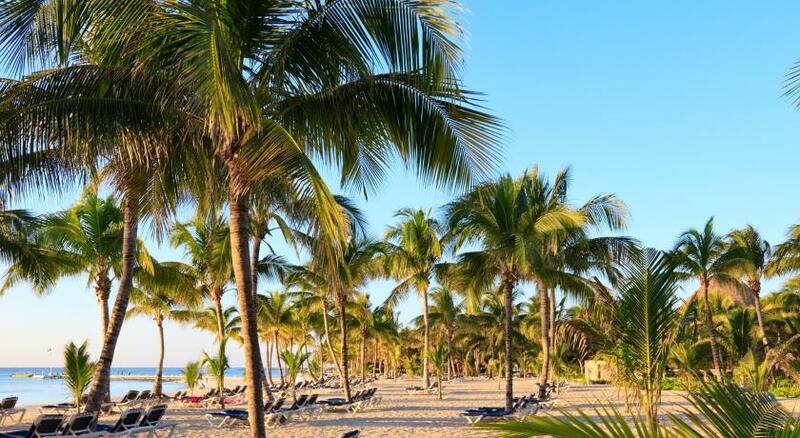 Lock in a great price for Grand Hyatt Playa del Carmen Resort – rated 9 by recent guests! Loved how it was close to the beach. The spa is a must go and the architectural design of the hotel is fascinating. Luis at the front reception was very helpful and gave us a room with a view. It’s was a very good place to stay the food was very good and the staff also we had a wonderful time. Very good coffee. I was pleased with the availability of food and water. Gym and salon were uncrowded. Staff was friendly. I liked the balcony and it was quiet in the room and area between the lobby and pool. Very close to 5th Avenue, nice shopping and restaurant street. We had a cockroach in our room, not a big deal but... We booked and they provided us with the cheapest room, I always have the expectation (very wrong of me by the way) that hotels when with low occupancy should upgrade their guests to something. I guess not their policy, I am ok with that but doesn't leave a "want to go back" experience. But after all business is business, I understand totally, just saying. Staff great! Internet great! Meals not so great, stay away from the all you can eat option, there are plenty of restaurants near by. Pools are phenomenal, beach not so much. Fantastic hotel. It is strategically positioned between the beach ad the heart of Playa. Our room was really quiet with a really nice view on the internal garden. Astounding staff and breakfast. A special thanks to Teresita who served us coffee every morning and Giulia who helped us with every our request. Its a beautiful hotel as always very stylish and modern. This place is AMAZING! Many infinity pools overlooking the beach. Great food & drinks at the pool bar. The rooms are large and spacious. The hotel is a few steps from the centre with restaurants and bars. We had a lovely stay! Grand Hyatt Playa del Carmen Resort This rating is a reflection of how the property compares to the industry standard when it comes to price, facilities and services available. It's based on a self-evaluation by the property. Use this rating to help choose your stay! One of our top picks in Playa del Carmen.Offering 3 ocean-front outdoor pools and a spa and wellness center with spectacular architecture resembling a Cenote, Grand Hyatt Playa del Carmen Resort is located in Mamita’s Beach. The design concept has crafted natural elements, artwork, textures and light. At Grand Hyatt Playa del Carmen Resort you will find 2 restaurants serving steak specialties and international cuisine, 3 bars and a fitness center. Unique food and beverage concepts and signature offerings from our restaurants and bars, such as The Grill at 1 26 and La Cocina, will set the stage for you to enjoy the local flavors of Grand Hyatt Playa del Carmen Resort. Room Service available 24 hours. If you feel like visiting the surroundings, check out the famous shopping, gastronomic and party scenes at La Quinta Avenida. This resort is 34 mi from Cancún International Airporttional Airport. 뀐 Located in the real heart of Playa del Carmen, this property has an excellent location score of 9.4! House Rules Grand Hyatt Playa del Carmen Resort takes special requests – add in the next step!